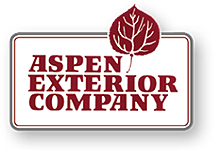 Aspen Exterior has many design elements to complement the exterior of your home. Crown molds and trim from Fypon, Azek and Versatex can be combined to enhance the exterior design along with corners of different colors and sizes. Shutters and columns also can make our home uniquely yours. Decorative exterior shutters are available in vinyl, wood and composite materials to enhance any exterior design. Shutters can be louvered, paneled or board and batten and can be decorative from Dinesol or Perfect Shutters. Another option is fully functioning shutters with hinges and holdbacks from Atlantic Premium Shutters for customers who want historically accurate elegance. A popular enhancement to a home is to change 4 x 4 posts or metal to fiberglass composite load bearing columns. Columns come in smooth, fluted tapered round or square columns to add that classic design to your home. Fypon is the leading brand of decorative moulding and millwork. Their polyurethane decorative millwork and trim deliver beautiful authentic details and rich textures of finely finished wood. Polyurethane is a closed-cell product, making it resistant to moisture and insects. It resists rotting, warping, cracking and peeling. Nothing can make a statement and enhance architectural style like Fypon products. Offering a wide range of styles and sizes to complement any home, Fypon urethane millwork window and door trims can transform an ordinary house into an extraordinary home. Dupont Tyvek Homewrap protects your home like a windbreaker, stopping the wind and rain from getting in. Since it also breathes, moisture inside the house can get out. Tyvek is applied under the siding with aped seams and junctures and makes buildings more durable, comfortable and energy efficient.